Aaliyah had an interesting background having spent the first 10 years of her career in office management. Her relatively recent career change to design meant that potential employers sometimes didn’t always take her seriously. 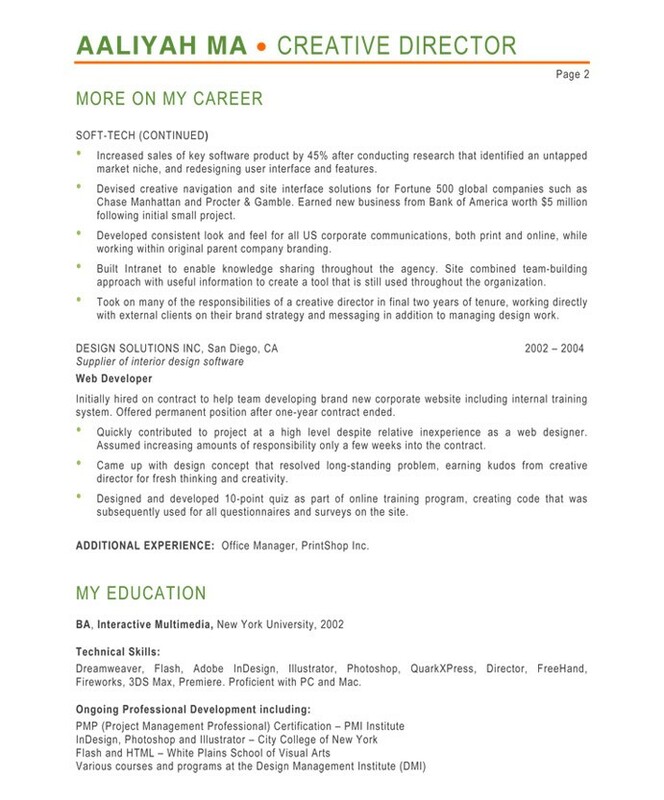 We dealt with this first by all but eliminating that early experience from her resume so that the whole document spoke to her design background. We then created a profile that highlighted two of her most impressive business and creative achievements. 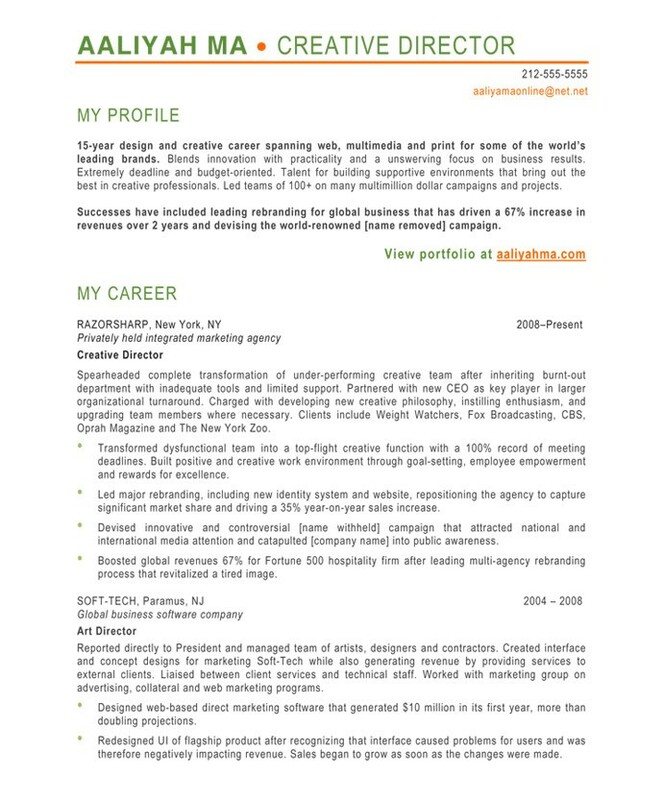 This helps to grab attention and ensure that hiring managers will read more of the resume. Finally, we used colors and a layout that tie into her web portfolio, so that she presents a consistent image across all media. Aaliyah first used our services when she was transitioning into the design field and she has come back to us each time she wants to advance her career.